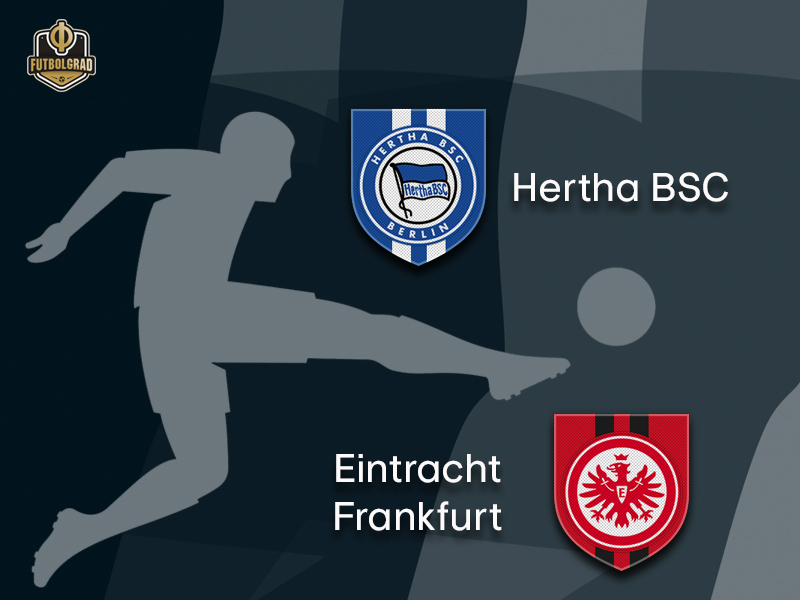 The Saturday Topspiel will take us to the German capital where seventh-placed Hertha face fifth-placed Eintracht Frankfurt. Hertha started well in the season with three wins from the first four matches and then compensated a stumble against Werder Bremen on matchday 4 by beating Bayern 2-0 on matchday 5. Since then, however, the club from the capital has somewhat been inconsistent. 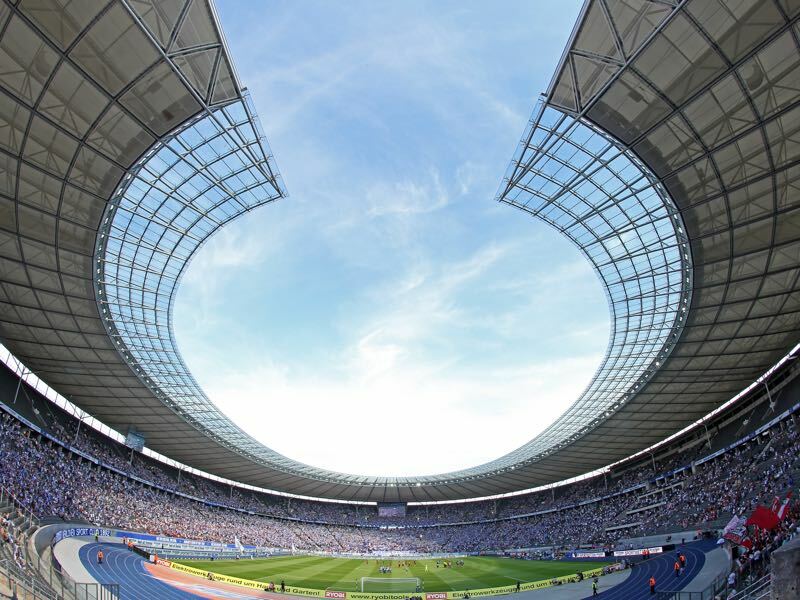 Furthermore, amidst the future orientation of the club, Hertha want to build a new stadium right next to the current Olympiastadion, were also discussions between head coach Pal Dardai and sporting director Michael Preetz on the style of football the capital club should play. Berlin, in general, is a difficult market and Hertha wants to encapsulate Europe’s hippest city by playing creative football. The reality under Dardai, however, has been somewhat different. Between the 2-0 victory over Bayern and the spectacular 3-3 draw against Hoffenheim were five games in which Hertha collected just three points and also lost to newly promoted Fortuna Düsseldorf. That 3-3 draw against Hoffenheim might have been a wakeup call, however. Hertha followed that result with a 2-0 victory over Hannover and are now back in touch with the Europa League places. Occupying a Europa League spot are Eintracht Frankfurt. Die Adler, in fact, have been one of the most fun team to watch this season. Heading into matchday 13 Frankfurt had scored 39 goals in the previous ten games (all competitions). Among the Champions League spot contenders and with five wins in five Europa League games, including impressive results against Olympique Marseille and Lazio, the Eagles were soaring. Eintracht are, however, also known as die launische Diva vom Main (the moody diva from the Main) in Germany, always willing to cough up a bad result when things go well. Hence, diehard Eintracht Frankfurt fans were perhaps not too surprised by the 2-1 upset caused by visiting VfL Wolfsburg last Sunday. Frankfurt’s biggest problem against Wolfsburg? The front-three Luka Jović, Ante Rebić and Sébastien Haller could not find a way through Wolfsburg’s defence and in the back, Frankfurt were surprisingly open for mistakes. Given Frankfurt’s prolific attack it is unlikely that the Eagles will be shut out twice and in defence, re-enforcements are expected with the return of Mexican defender Carlos Salcedo. Salcedo’s return would help as Marco Russ has struggled to compensate for the injured David Abraham. “David is getting better, but it will take some time until he can return as he is not able to train with the team yet,” Eintracht Frankfurt head coach Adi Hütter explained this week. “Carlos has made a good impression [this week] and is eager to play,” Hütter added. The Mexican could add some much needed defensive stability and with Eintracht Frankfurt facing a side that has allowed the most shots this season (see below) are likely to return to their winning ways. 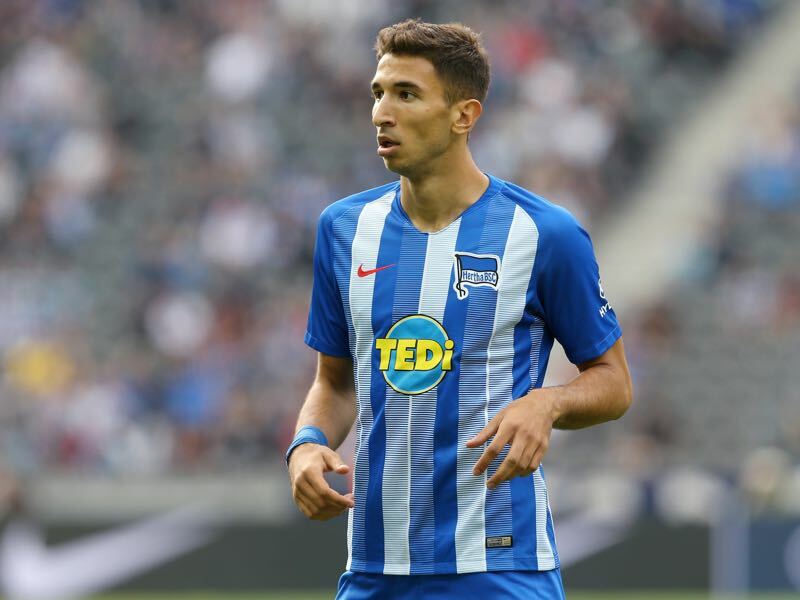 Marko Grujić’s return from injury has been one of the main factors for Hertha collecting four points from the last two games. In five games with Grujić in the starting XI Hertha have averaged 2.2 points and 2.6 goals – in the eight games without him, however, managed just 1.13 points on average and one goal a game. “With Marko in the lineup, we have a different approach to the game. He is calm and present and always wants the ball. He has charisma, a good body language and is quick in his head and fast on his feet despite his height,” Hertha head coach Pal Dardai explained this week. Grujić’s presence in midfield is, in particular, impressive the midfielder conducts the most duels of all Hertha players 16.4 per 90 minutes. He is a number eight, who links up defence and attack and is critical for Hertha’s stability in midfield. Filip Kostić has been re-invented under head coach Adi Hütter. Signed from Hamburger SV, the Serbian winger managed to be relegated twice in the last two years (Stuttgart 2017, Hamburg 2018). A fate that is unlikely to befall him in Frankfurt. In fact, in Frankfurt, he wants to fulfil his dream of playing in the Champions League. “My dream is to finish in the top four and play in the Champions League,” Kostić told the media this week. Under Hütter the winger has been moved further back and now operates mostly as a wing-back in Frankfurt’s 3-4-3 system, it is a role that suits him, and even in Frankfurt’s 2-1 defeat against Wolfsburg, he was one of the best players on the field. On average Kostić has completed 81.6% of his 3.92 dribbles per game and 36% of his six crosses per game find their target. His runs down the flank have become a real weapon and add to Frankfurt’s already impressive attacking arsenal up front. Hertha have won 20 home games against Eintracht Frankfurt (as many as against Schalke and Stuttgart). The only other team they beat more often at home has been Hamburger SV. Hertha’s record against Eintracht Frankfurt: W20 D3 L7. Hertha, however, lost their last home outing one year ago on December 3, 2017, 1-2 to Eintracht Frankfurt. With 30 goals Eintracht Frankfurt, together with Gladbach, have the second best attack in the league behind Borussia Dortmund. Hertha have allowed the most shots this season (203) and with Frankfurt face a team that has managed to get 42.11% of their 133 shots on target (third best in the league).